Below are some tips and strategies on how to successfully use iMovie or any movie creating app with your students. 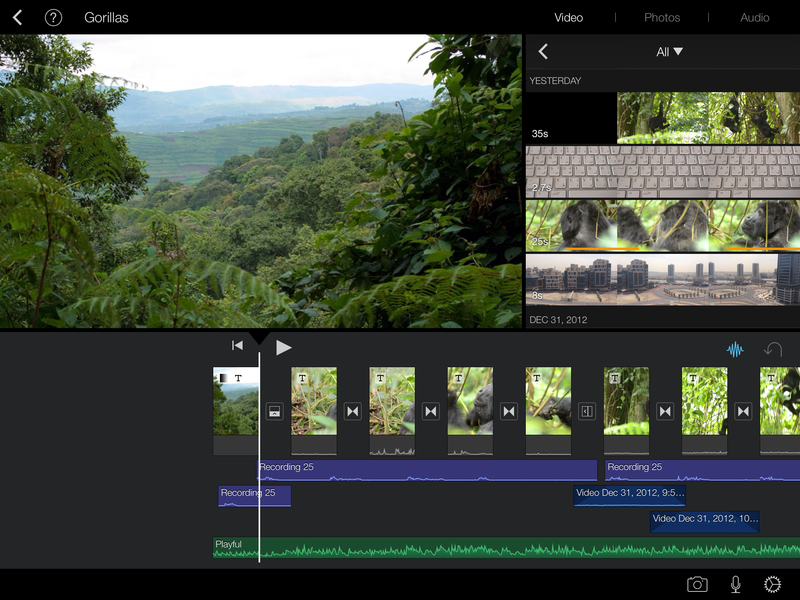 At the end, I’ve added a YouTube playlist that shows how to get photos and videos onto your iPad and create an iMovie. Give them a clear goal. Why are they making this movie? What do you want them to practice or demonstrate or learn? The students need to know the purpose of the activity. If they go off task, reminding them of the goal can help them get back on track. Tell them how they will be graded or evaluated. This is tied back into giving them a goal. If they are going to be graded on their pronunciation, then they need to know this so they can focus on that. If they will be evaluated on their creativity, then this is also important to communicate. Share the grade form or rubric you will be using with your students. How you evaluate them should be transparent and clear from the start and should never come as a surprise. Set a time limit for the movie. Unless you want to spend hours and hours watching your students videos, give a time limit. This also forces your students to focus on the goal. They will have little room for anything else. This will also keep the size of the videos to a reasonable level if you are asking them to upload them to Dropbox or a Learning Management System (LMS). Choose the appropriate share option. Deciding how you want your students to share their videos with you should be done after you decide on the length. The longer the movie, the more issues you will have uploading it. The students may not have enough DropBox space or your institution may have a file size limit on their LMS. For larger videos, I recommend using YouTube or Vimeo. They can always make their videos private if they don’t want others to see it and share the link or password with their teacher only. Use a microphone or headphones with a microphone. The headphones that Apple gives with their iPhones work fine. They don’t need to be expensive, just something that will help reduce any background noise. If no headphones are available or there are multiple speakers, find a quiet space to do the recording. Always add music last and be aware of volume levels. iMovie automatically reduces the music when you there is a voice, but sometimes it doesn’t do it so well. When the students stops speaking, the music goes really loud for a few seconds then lowers back down, this can be distracting. To keep the music the same throughout, have the students add blank audio clips. To do this simply record a blank moment. It can be short, but needs to be silent. Then you can duplicate it wherever you need to in the movie. Whenever possible allow them to work on the movie outside of the class. This is especially true when students need to add their own audio, video or pictures. They need to move away from the classroom in order to get to a quiet space or a place where they feel more relaxed being on camera. The classroom can stifle creativity at times, so this might allow students to break lose and try something new. Worried about them heading to the canteen and doing nothing? Give them clear deadlines and an exact time they need to be back in the classroom. Some of my students best work was done at 2 in the morning. Not my preferred time, but it was when their creative juices were flowing. Don’t be the technical support. As more and more apps emerge and the BYOD concept takes hold, teacher will be less able to support the students with technical issues. 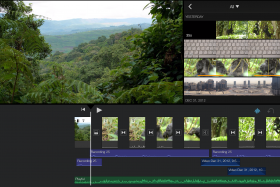 Suggest an app to use like iMovie, send them a ‘how to video’ (like the one below) or a webpage with more support, but don’t focus on the technology. You can even allow the students to use other apps if they wish. As long as they keep the original purpose and goal in mind, why not? Of course, they will always ask you for technical help and you can give it to them if you are able, but it is better that they learn to learn on their own. Teachers can’t fulfill the technological support role anymore and more time should be focused on the content. Make it a learning by doing project and don’t get bogged down with the technical side of life. If they are having so many issues with one app, now they know not to use that app again. Give them room to be creative. Don’t dictate each and every aspect of the movie to your students. Give them clear goals and deadlines, then then let them create. You may be surprised with what they come up with.